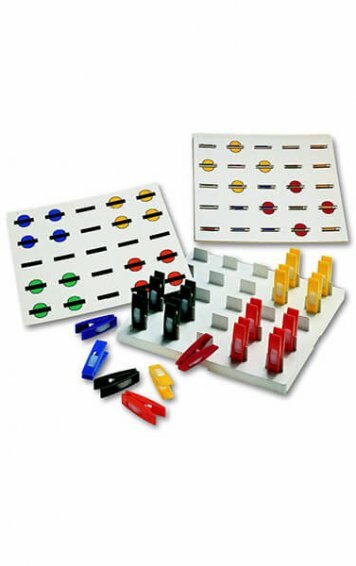 Peg Domino develops fine motor control. This can also be used to develop pattern and sequencing skills. 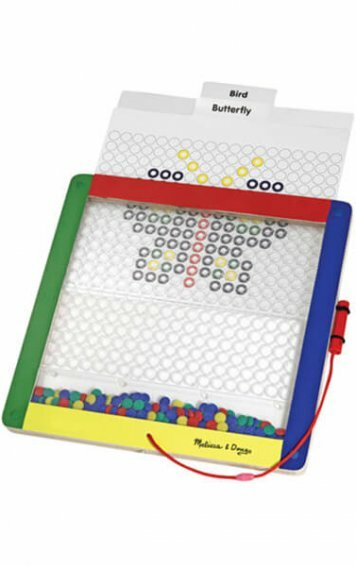 Players attach small clothespin shape clips to the circular gripboard one after the other, matching the colours. 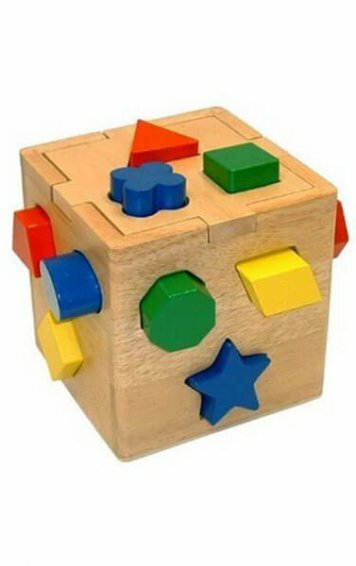 Each player tries to use up his/her pegs. 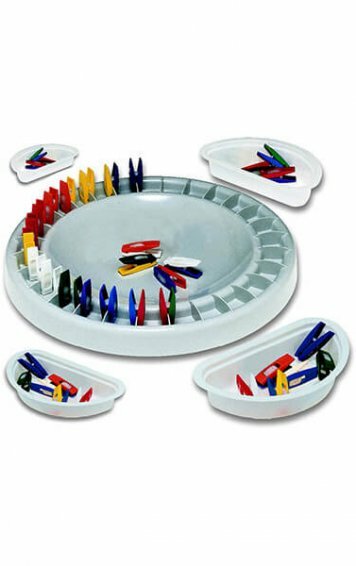 It includes: 1 circular gripboard, 28 miniature (1”) colour clothespin shape clips, 4 plastic boxes, 1 bag. Purpose: 1. To develop fine motor control skills especially the grip needed for drawing and writing. 2. 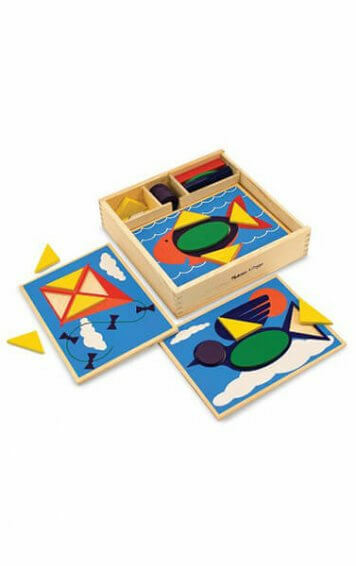 To develop the skills of matching, ordering and turn taking. Object of the Game: Players attach small, coloured clothes peg shaped clips to the circular grip board one after the other, matching the colours. 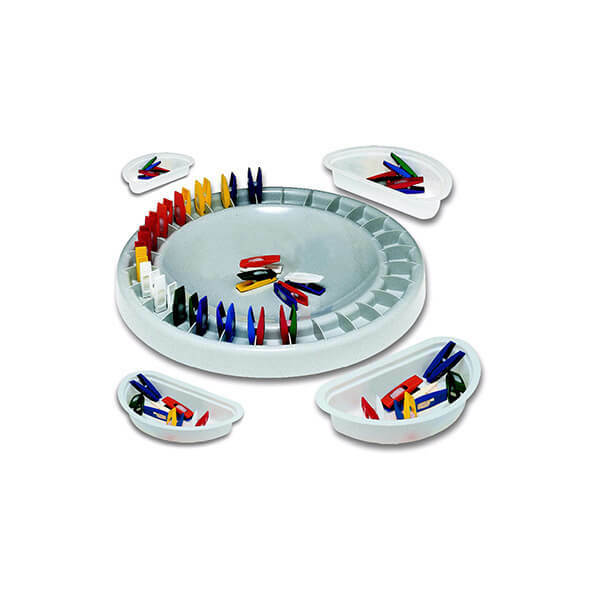 Each player tries to use up his/her pegs. What we think: A really innovative way to increase the duration of fine motor skill strengthening for handwriting readinness without your child knowing they are even doing it! 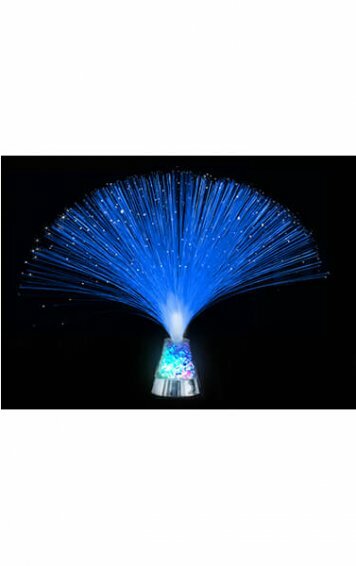 Quality product that works.